This week started just like they all do, school runs, swimming classes and preschool. 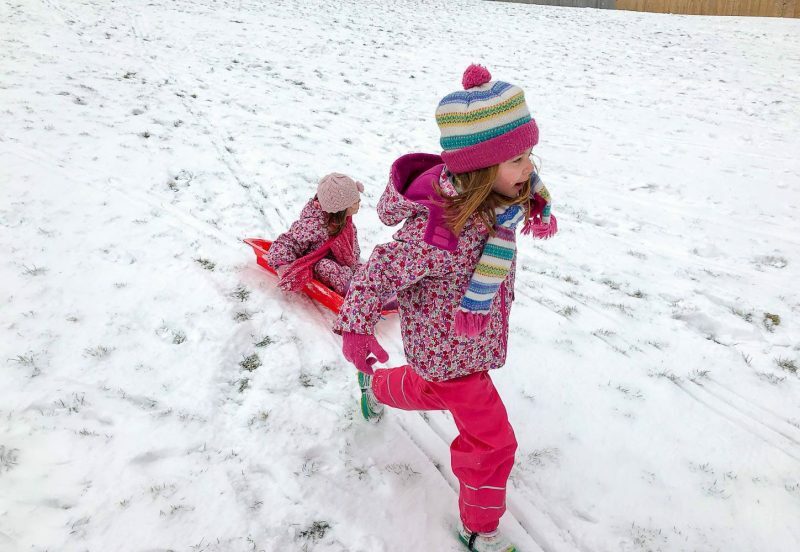 Then there were reports that snow was on it’s way and in some parts of the country it had arrived and hit them hard. I think I had my head in the clouds, as I really wasn’t prepared for it and in hindsight probably should have gone shopping on Wednesday to stock up on food (oops)! 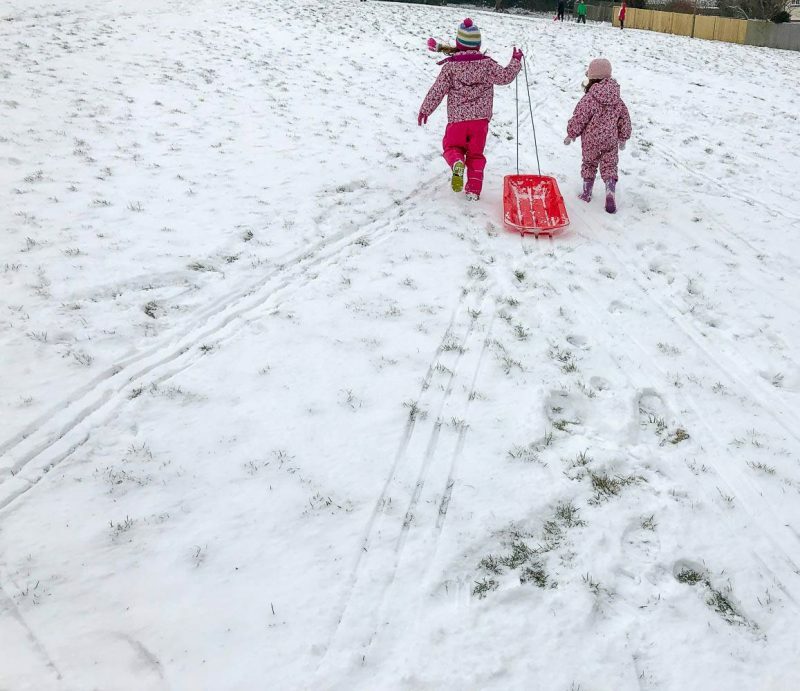 When I picked Alice up from school on Wednesday there was talk of the school having to close on Thursday due to the snow, but until you are actually told it is going to, you never really believe it. We went to bed on Wednesday night, waiting to see what Thursday would bring. We woke up to a blanket of snow and it wasn’t long until the text message came in that Alice’s school was closed. When I told Alice, she cried. Because it was World Book Day and she has been waiting for months to wear her outfit. We wiped away the tears and I calmly told her (and I’m secretly praying! ), that I’m sure they will rearrange it. The excitement then turned to the snow and cries of when can we go out in it mummy. 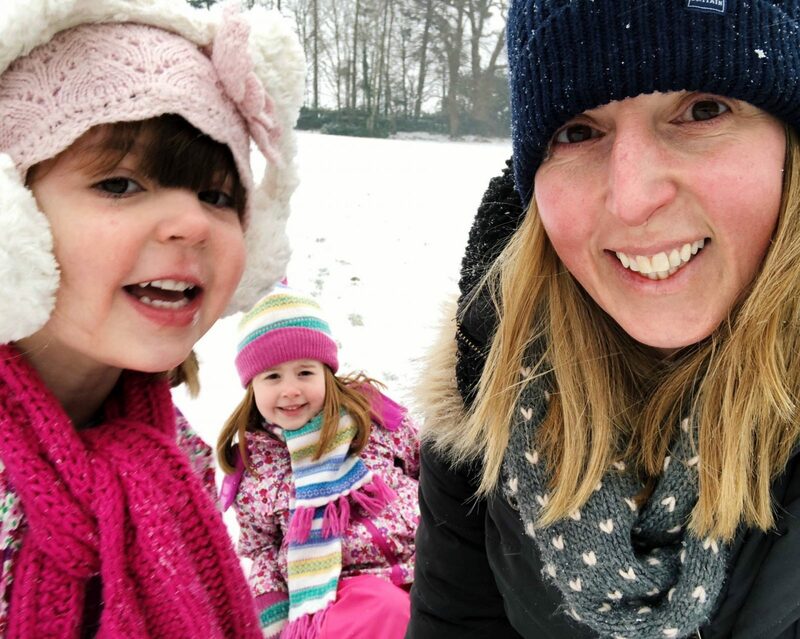 The girls and I put layers of clothes on, put on our winter gear and headed out to meet some friends for sledging fun. It was freezing cold, but probably more so for my friend and I as we were stood still watching all our girls go up and down the hill with the sledge. The squeals of laughter and of course the odd squabble over whose turn it was next on the sledge! Friday came and brought more snow and another snow day for Alice. This time Andy was home and he came and joined in some sledging fun in the morning. He can definitely make the sledge go faster down the hill. It wasn’t as cold as the day before, I think it was because there was less wind. We then came home for some soup for lunch and then the girls and I did some crafting, made grandad some birthday cards and then we snuggled down to watch a movie. It might not have been the week we had planned and I missed going to somewhere I really wanted to go to on Thursday. But we made the most of the situation and I know that the girls loved the extra time together. This is what childhood is all about, these are the memories that I want to girls to remember. 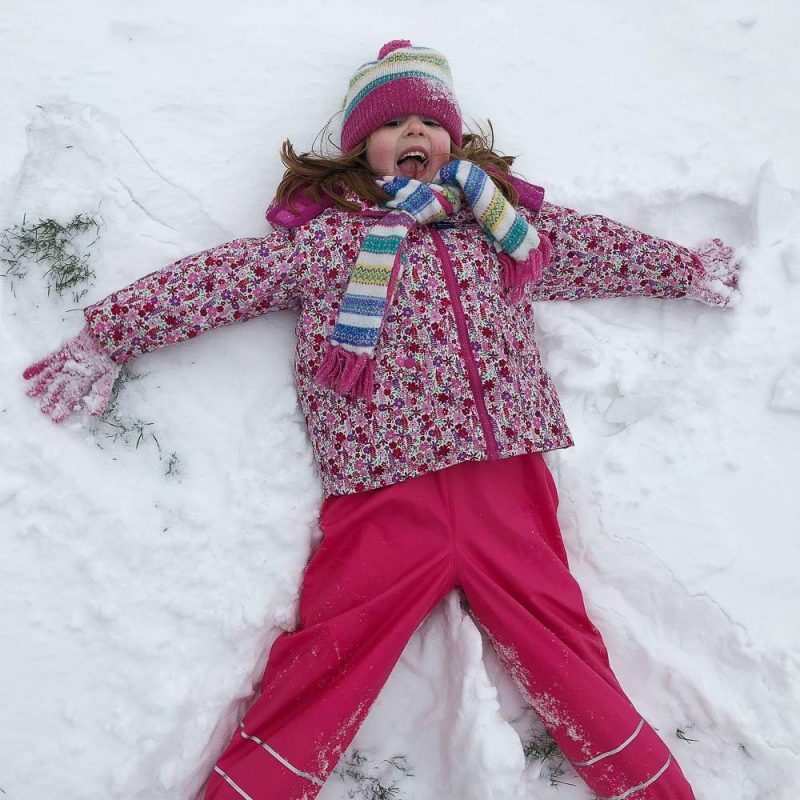 The snow days are some of the best days as a child. Previous Post: « A Love Of Jigsaw Puzzles…Roald Dahl Matilda – Plus a Giveaway!